The Highlanders moved into second place in the New Zealand Conference by beating the Chiefs 25-15 at Forsyth Barr Stadium in Dunedin. The Highlanders victory is their sixth consecutive victory over the Chiefs who have now not beaten the Dunedin side since March 2014. The Chiefs led 5-7 at half time and then extended their lead to 5-10 early in the second half. However, a yellow card proved costly for the Chiefs whose dynamic defence had kept them narrowly in front until 13 minutes into the second half when they were reduced to 14-men and the Highlanders cashed in on the numerical advantage. The Chiefs, who went into the weekend as the front-running New Zealand side, needed a win to reclaim the top spot while the Highlanders needed a bonus point victory. The Highlanders’ victory came without the extra point consigning them, along with the Chiefs and Crusaders, to an overseas mission for their quarter-final matches next weekend. The Highlanders beat the Hurricanes in last year’s final but captain Ben Smith said that had no bearing going into the play-offs. “It’s a new year. We know that we’re not defending any title, we’re trying to take it,” Smith said. Chiefs skipper Sam Cane saw discipline as an obvious problem for his side. 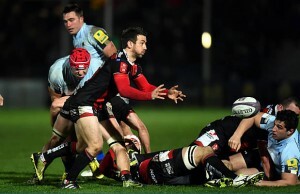 “Our defence had a lot of sting and desperation in it. It was our discipline that let them off the hook,” he said. The Chiefs looked comfortable at the start against the Highlanders and were up 0-7 when Damian McKenzie converted Toni Pulu’s try in the sixth minute. But after 20 minutes the tide had turned and it was the Highlanders, the defending champions, who were in charge only to be frustrated by a stoic Chiefs defence. For nine minutes the Highlanders battered away at the Chiefs’ line, with referee Glen Jackson showing leniency as the penalties mounted. 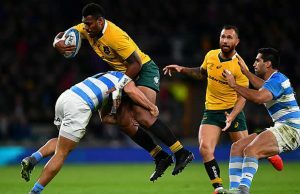 Waisake Naholo eventually broke the drought with a try that would have done a gymnast proud as he twisted his body in the air to get the ball down in the field of play before crashing to the ground over the sideline. Lima Sopoaga missed the conversion and the Highlanders went into the break two points down but with their tails up. After McKenzie and Sopoaga exchanged penalties early in the second spell the Chiefs were ahead 10-8 when flanker Tom Sanders was sent from the field. The Highlanders hit the front with another Sopoaga penalty followed by a try to Dan Pryor. 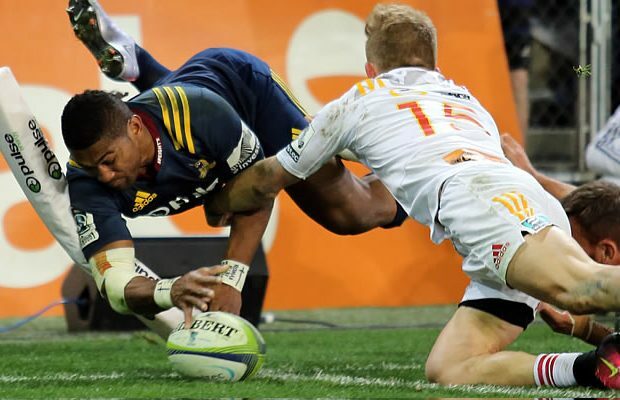 When the Chiefs were restored to full strength they closed the gap to 18-15 with a Lachlan Boshier try before Sopoaga sealed the Highlanders win with a converted try to end the match with a personal haul of 15 points. The Chiefs continued to test the Highlanders until the final whistle as a losing bonus point would have kept them above the Highlanders in the standings as they have a better points differential by one. The result puts the Highlanders into fifth place overall which puts them in line to meet the Waratahs in Sydney or the Brumbies in Canberra next week. The Chiefs drop to sixth place overall so they will play the Stormers in Cape Town regardless of how the other results go in the remaining matches.